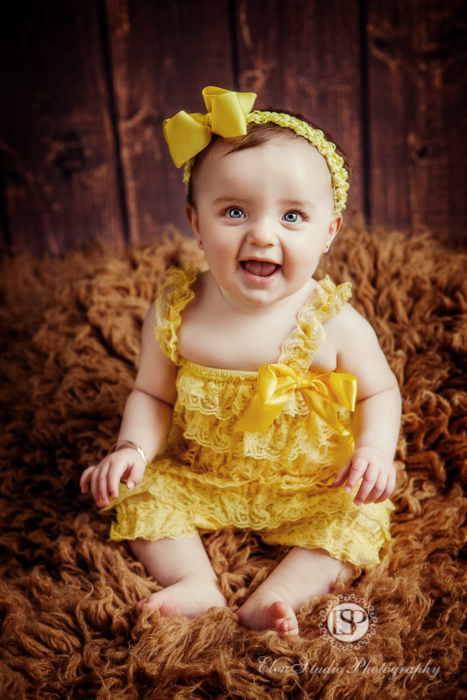 You may have already seen photographs from Miss A’s newborn photo session. This time I photographed her when she was just a bit older than 6 month. 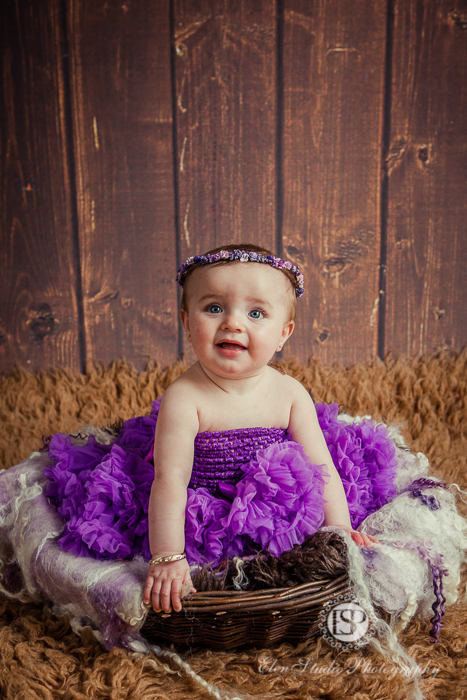 The pictures in this post are from her six months plus photo shoot at my Derby baby photography studio. Miss A has now learned how to sit and these were the moments I was trying to catch. 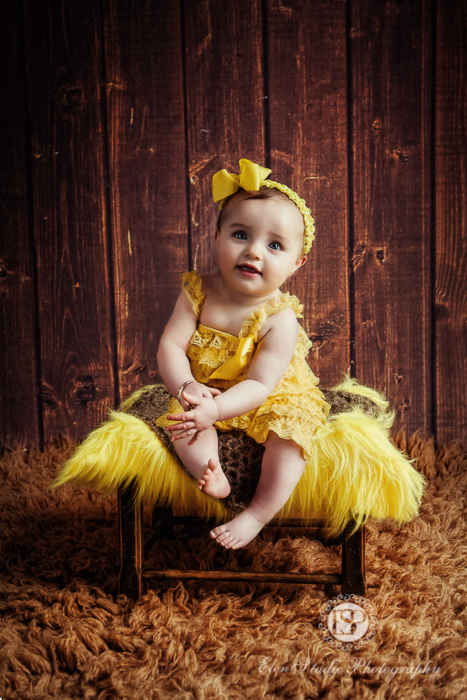 She was enjoying being able to be on her own, to sit just to lay down looking at this strange lady with a black box pressing a button We chose yellow – purple for the shoot to make the pictures bright and alive. You can read all sort of emotions at her face, from laughing and smiling to expression of curiosity and of little fear to fall aside, and I love this variety. 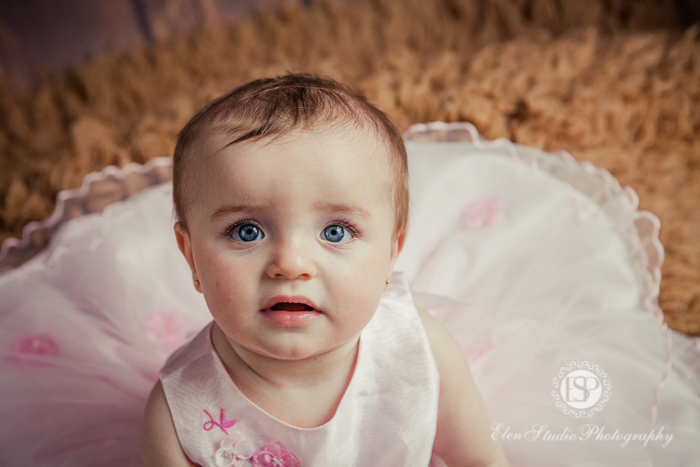 Photographing little children is always fun! P.S. 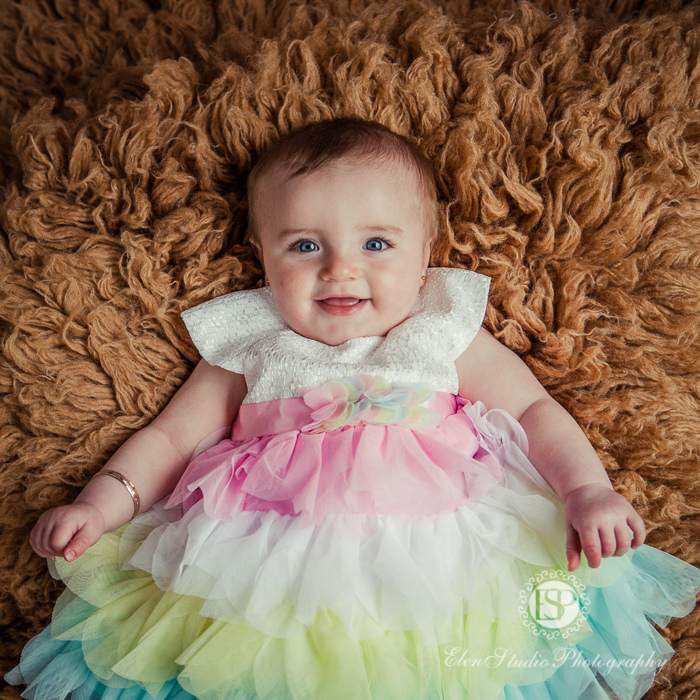 Six months plus photo sessions are part of the First year plan that we offer at Elen Studio Photography. You can find more here.